An internal DVD writer is an important part of your desktop PC. A DVD writer is an optical disk drive which can read and write / burn CD’s and DVD’s. It is also very important that your DVD writer should be good enough to burn data on your DVD’s error free, because if there occurs any error in burning data to your disc then you might end up losing your precious data. Today DVD writers have become very cheap and you can even find them under Rs. 1000/- but you should be very careful in selecting a DVD writer because your valuable data depends on its reliability and performance. So here in this post I will guide you on how to find a good reliable DVD writer for your PC. Here are the most important things that you should look for in a good DVD Writer. Internal DVD Writers mainly comes in two types of Interface, one is the old IDE and the second one is the SATA interface. Newer or the current generation DVD Writers generally comes with SATA interface, but for users with old motherboards that do not have SATA interface have to go for the IDE ones only. Also some newer motherboards do not have IDE port which means you have go for the SATA DVD writer only, which for me is the preferred choice because of higher bandwidth and performance offered by the SATA interface. 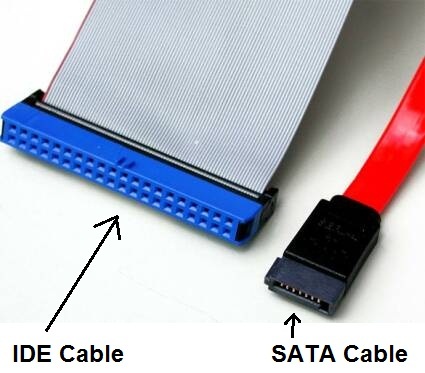 Also there is less clutter of cables in SATA DVD writers because SATA cable is very narrow and flexible as compared to IDE cables. Well presently almost all the DVD writers come with Dual Layer DVD writing capability, but you should check this thing before making any purchase. Dual Layered DVD’s (8.5 GB) can store approximately twice the data that you can store on a standard single layer DVD (4.7 GB). The DVD Writer should support the maximum burning speed supported by your blank media i.e. CD’s or DVD’s. Currently the maximum speed for CD burning is 52X and for DVD burning it is 24X. Although you should not burn your optical disks at highest speed but your writer should support it. For DVD/ CD burning tips visit the link below. The DVD Writer should support all the popular DVD recording media formats that include DVD-R, DVD-RW, DVD-R DL, DVD+R, DVD+RW, DVD+R DL. Currently the best performing DVD Writers available in the market today are: Asus DRW-24D3ST and Asus DRW-24B3ST. If you are facing any trouble finding Asus DVD writers then you can go for the next best thing which is Liteon DVD Writer. 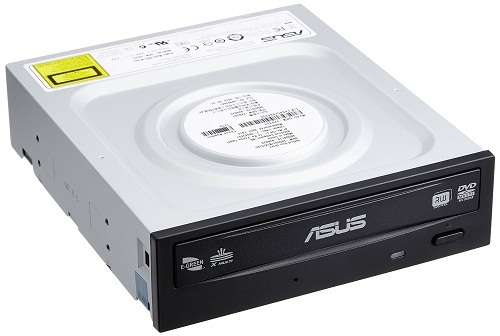 You can buy Asus DVD Writer online from the links given below. I think I have forgotten about DVD writer. In the age of mobile & pen drive, I am hardly using a DVD writer these days. But this is a very good article for DVD writer buyer. DVD’s or optical media has its own place in digital world and they will be among us for many more years. Yes its daily usage may be reduced but there are situations where only optical media or DVD’s are used. Nice to see the article on DVD writer with important features and available option. I think there are very less article on this topic as everyone is focusing on Mobile and laptop. Keep posting such good article. Thanks Rohit for the feedback and appreciation.